Coming from a former British colony, going on exchange to King’s College in London is a dream and a pilgrimage of sorts for me. After all, modern Singapore has its roots in the endeavours of an English man, Sir Stamford Raffles. Traces of our once close ties can be found almost everywhere in Singapore: Mountbatten Road, Coronation Drive, Queenstown, Napier Road. As such, walking along the streets of London is especially poignant and exciting as pages of our history books come to life in the form of street names, theatres, statues and landmarks in London. This extended time away from home has given me a greater appreciation of what Singapore has – and does not have. It’s a case of not knowing what you have until you’ve lost it, and not knowing what you lack until you have seen it. This trip has been all that I expected, and so much more. One thing I noticed about London is the general lack of tall buildings; the average height of buildings here is around 4-5 stories. 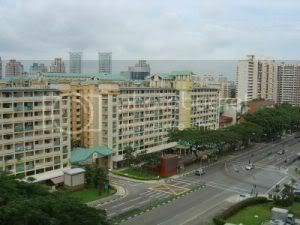 Strange as it may sound, I never thought I’d miss the sight of a HDB block, or the sight from one. The large amount of space also means that London grows outwards instead of up, and the travel distances also greatly increase. I miss the compact nature of Singapore and the greenery that’s easily accessible. I miss the sun. Superficial perhaps, but I realise it is things like these that make Singapore my home. I also miss the veritable 24-hour nature of Singapore. No matter what time of the day, you hardly ever have to travel far to get a plate of hot food, or to a convenience store. By contrast, most restaurants and eateries here are closed by 9pm or 10pm; and even pubs rarely stay open past midnight. 24-hour convenience shops are few and far between. This was not what I had expected from one of the biggest cities in the world. Another area I’ve come to appreciate about Singapore is our efficacy. That’s one thing I think everyone will have to agree about Singapore. In London, however, I have developed an annoyance and a phobia of dealing with the commercial entities and government agencies. Emails addressed to the borough councils (town council equivalent) go unheeded; it takes several weeks to receive my bank card, and just as long for the activation of my phone line and internet subscription. 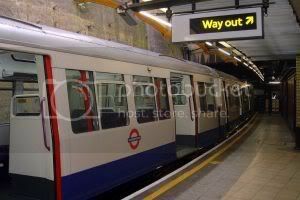 On 1 January 2009, the fares for London’s bus and train system, known as the London Underground, went up by approximately 10 per cent. As expected, there were vocal protests. As a Singaporean, the fare hike was a familiar thing to me. Singapore fares are increased like clockwork every year. But I digress. Despite the many different private transport companies operating here, I find the whole system to be well-integrated. There are more than 10 bus operators and one underground operator, yet the buses and trains are almost always on time, and with reliable frequency. The government body, Transport for London (TfL), manages London’s public transport system. TfL’s website features an excellent journey planner (http://journeyplanner.tfl.gov.uk) that allows you to plan your travel using the whole transport system (e.g. bus, underground, walking, cycling and even boats). It includes estimates of travelling time, and expected timings of the next bus and train. There are also maps and bus guides of the surrounding areas at each bus stop and underground station. In comparison, Singapore’s public transport is segregated and profit-oriented. SBS and TIBS have their own websites with a very basic route map for buses. Integration of travel information between both public transport operators is minimal. When the new Ang Mo Kio (AMK) interchange started operations, I was surprised to find only information on SBS’ bus routes available. (For those who are unaware, AMK Interchange is operated by SBS Transit, and not SMRT.) While this has been rectified, I believe it is a symptom of the deeper underlying divides in our transport system. Public transport operators tend to remove unprofitable bus routes, sometimes to the detriment of commuters. The government must step in to ensure that the transport system is comprehensive and well integrated because public transport is a public service too. Considering the high profit margins of the companies, and the high salaries that are being paid to our civil servants, our public transport is far from world class and more ought to be done. Living in London has been an eye-opening experience on the issue of civil liberties. There have been several peaceful protests and demonstrations here since I arrived. It is common to see student groups speaking up on various issues on university grounds, representing organisations such as PETA, Amnesty International, UNICEF, United Nations Association and the Pugwash Conference. Recently, there have been massive protests and demonstrations over the Gaza Strip conflict. Turnouts peaked at 200,000. It is exhilarating to see the amount of self-expression that Londoners have. Admittedly, not all have been peaceful, but violent protests are actually rare and they are exceptions to the norm. Despite these frequent protests on world issues in London, its economic viability is hardly impacted. Singapore’s political climate promotes apathy that leads to sheer ignorance and fear. Perhaps it is time to examine whether Singapore’s lack of active citizenship is truly a comparative advantage in attracting foreign investments to our shores. It is also nice to see the UK government reducing the standard rate of the Value-Added Tax (VAT) from 17.5% to 15%, and lowering interest rates and pushing for banks to pass on these rate cuts to consumers. This will certainly benefit the lower income group. Moreover, the UK government provides indirect subsidy by charging VAT at reduced rate (5%) or zero-rate (0%) on selected categories of goods (e.g. electricity, gas, food, children’s clothes). This cannot help but bring to mind the untimely GST hike when prices were rising in Singapore. 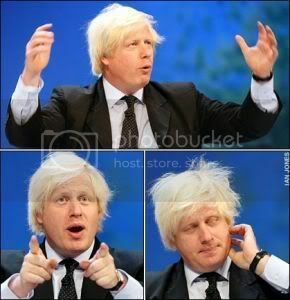 Mr Boris Johnson, of the opposition Conservative Party, is the current Mayor of London. It is refreshing to see a politician as unorthodox as Johnson. Recently he lowered the price of public transport fares by 50% for those who have been retrenched in the credit crunch. This will hopefully make it cheaper for them to travel to interviews, for example. In tough times like this, it is certainly good to see some concessions being given to those who are hit the hardest. Another area he has taken a stand in is the construction of a third runway at Heathrow airport. This will involve the dislocation of a number of citizens as well as other environmental concerns. Mr Johnson has pledged at least £15,000 of his own money to fight this decision of the Labour government. 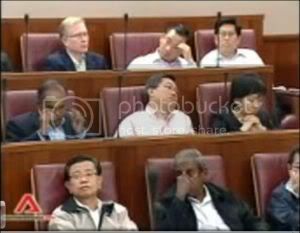 What I hope to see in Singapore are MPs who are more vocal in Parliament. Too often, there are no real debates on issues because like the citizens, there is no real need for MPs to be too involved. 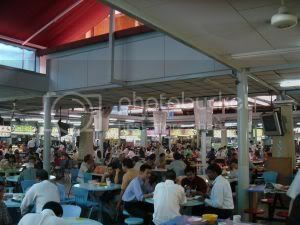 Ultimately, while Singapore has definitely achieved a lot, there is still much more that we can improve on. We should be comparing ourselves against countries that we can learn from, and not with countries that are not as developed as us. This time away from home has expanded my horizons. I hope this will make me a better Singaporean who is able to contribute more to my country’s future. Weijia is a third year law student at NUS Law Faculty. He is currently on exchange at the Centre for Transnational Legal Studies based in London. Join the TOC Facebook group here.